On December 12, 2018, The Pension Research Centre (PeRCent) held the event ’Hvordan investeres 1.000 mia.? Forventninger til 2019’ (‘How to invest 1,000 billion? Expectations for 2019’). The event was held in Danish and organized by PeRCent co-director Jesper Rangvid. 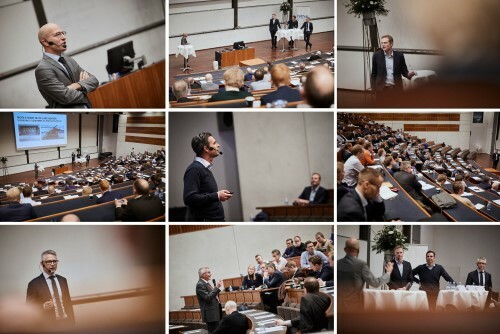 Three investment managers, Kasper Lorenzen from ATP, Ralf Magnussen from AP Pension and Morten Malle from Lærernes Pension presented their investment strategies and their expectations for the investment year 2019. The programme also featured a panel discussion with the three investment managers, moderated by Jesper Rangvid. Approx. 170 people from both the industry and academia participated in the event. Find pictures and presentations from the event here.